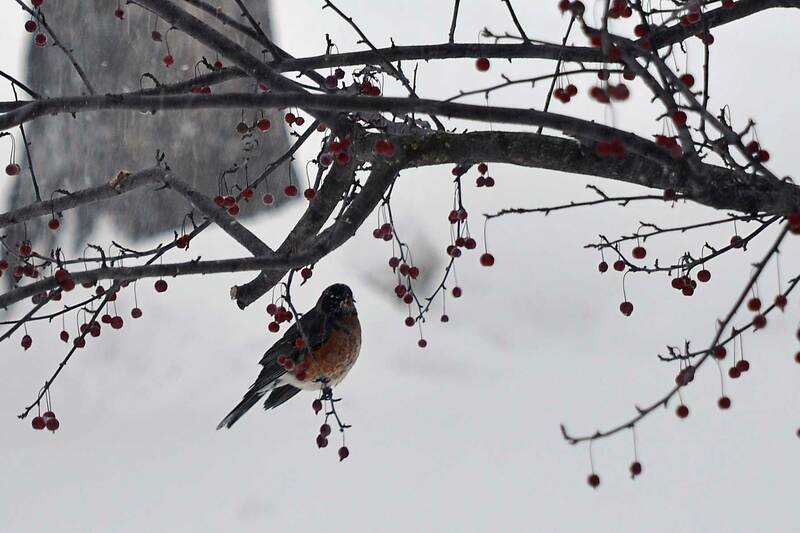 Yesterday I noticed a robin in the crabapple tree just outside our kitchen window. I was a little puzzled because I thought robins migrated south in the winter. The bird seemed out-of-place in this frozen land, but I assumed that it must surely be on its way south sometime very soon. 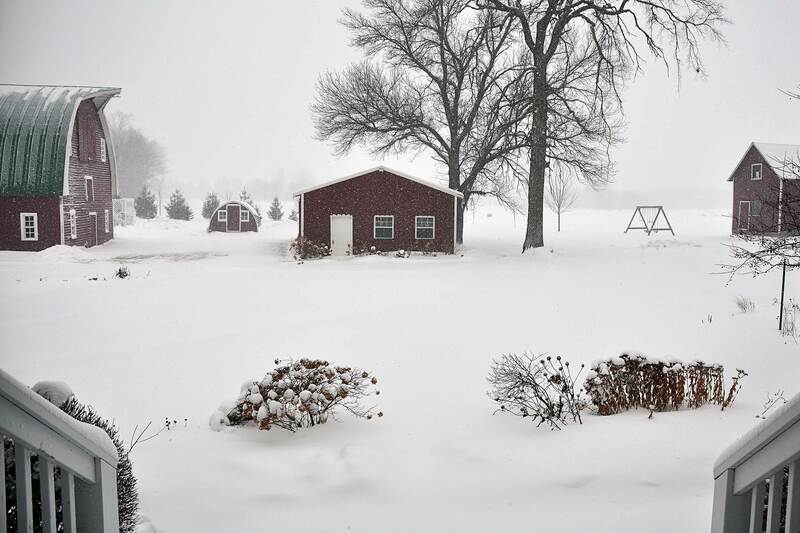 We had a “major weather event” here in Minnesota starting Friday evening and continuing through today with lots of accumulating snow and strong winds. 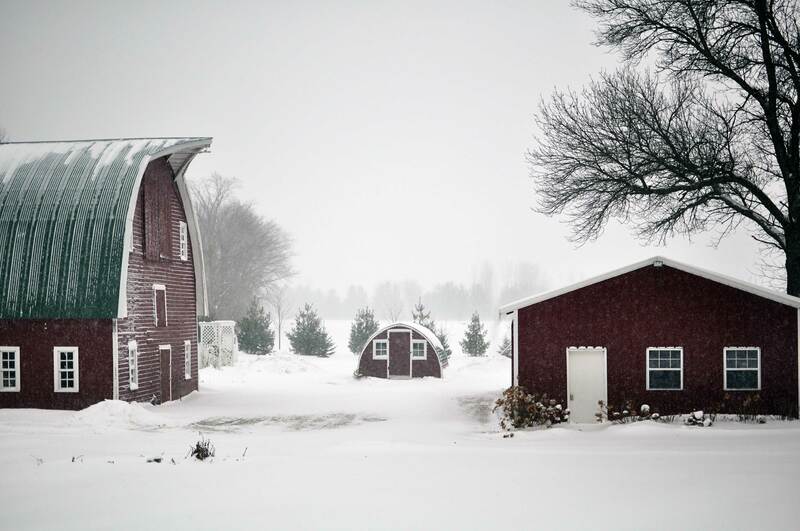 The snow kept falling all day long and by this evening we had somewhere around a foot of fluffy new snow! While making breakfast in the kitchen this morning, I looked out the window and was shocked to see that poor little robin back in the crabapple tree. 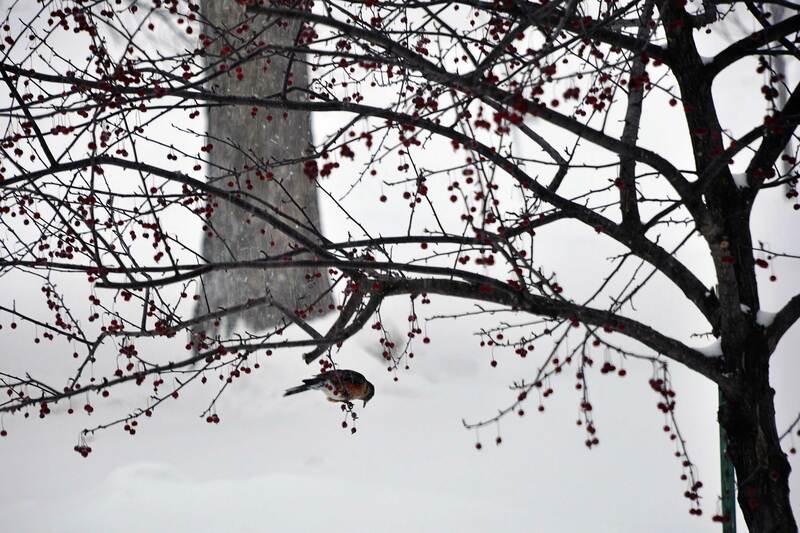 Braving the snow storm, it was hopping around the tree and eating the crabapples. Worried that there was something wrong with this bird that was still around Minnesota at this time of year and in these conditions, I did a quick internet search to see if it was “normal” for a robin not to migrate south. 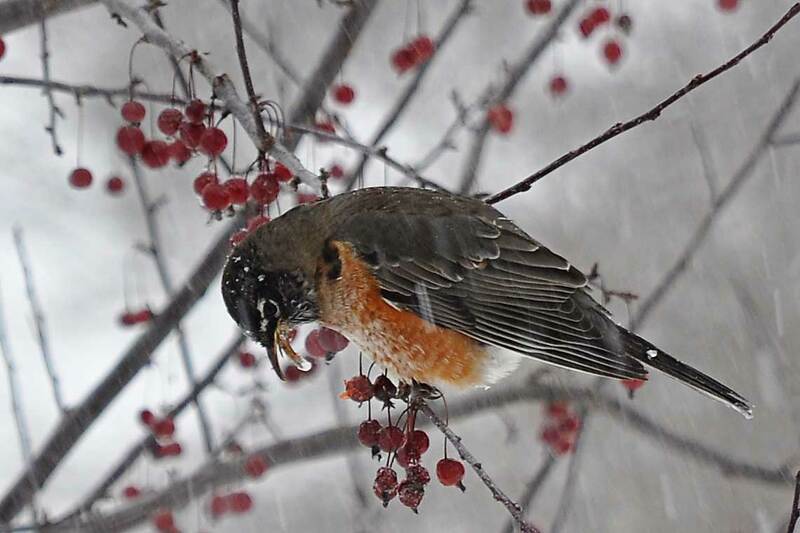 I was surprised to read that robins apparently do not always leave in the winter, especially if there is a food source like crabapples or berries to sustain them. They keep themselves warm with thicker feathers and by shivering. 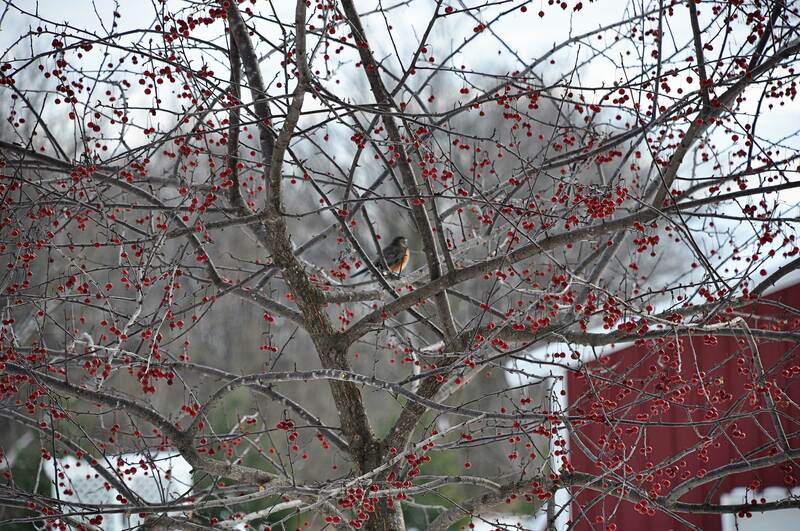 So, I guess this robin has decided to stick around this winter and snack on the crabapples on our tree. 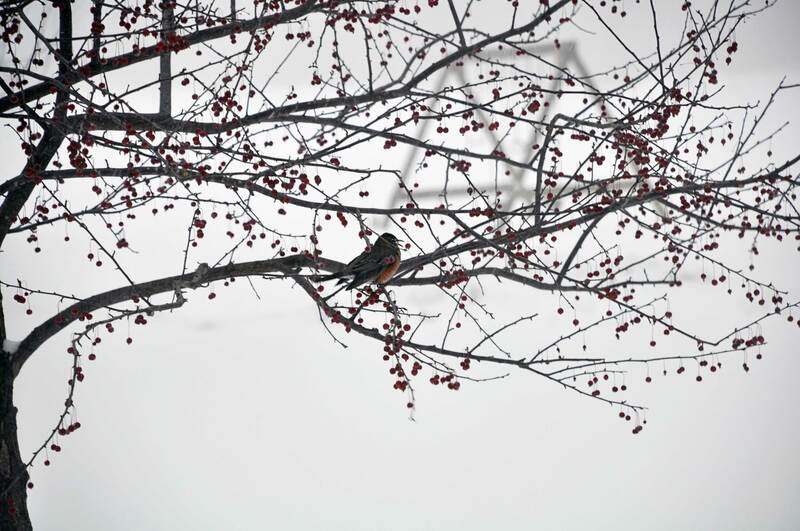 The robin will be doing a lot of shivering tonight, as temperatures are predicted to plunge to -15° F. Tomorrow does not look much better with a high of 3° F and wind chills of -35° F. Poor little thing! As I sit inside tonight with my kids, playing games and enjoying a warm and cozy fire, I am glad very glad that I am not that robin. And if I were, I would never be crazy enough to stick around this state through the winter…even if there were some crabapples nearby.